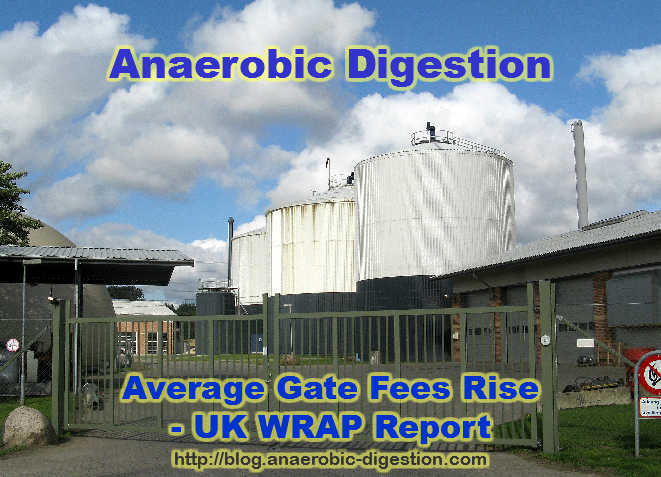 It is difficult to obtain UK anaerobic digestion plant operational costs to assess the Cost of Anaerobic Digestion, from any source, so the annual WRAP gate fees report, now published, is eagerly awaited each year by many people in the UK Biogas Industry. This year the wait for the gate fee cost of anaerobic digestion was even more acute, because those that have invested in biogas plants, or work in the AD sector, are also nervous about the current low oil price. This rests currently (February 2015) at only half what it was before the summer of 2014, and many are concerned how that might reduce the profitability of AD facilities. Unfortunately, the report: “Gate Fees: Comparing the Costs of Alternative Waste Treatment Options” (visit www.wrap.org.uk/gatefees to view it) is based upon data for 2013/14, so there is no possibility that any effects of the reduction in oil prices, will show up in this data. However, that does not mean that the Gate Fee (Cost of Anaerobic Digestion) report is not worth studying, and we believe that there is plenty of good news within it. Most UK anaerobic digestion facilities are, in the main, driven by their waste management function, and in principle the electricity tariffs are set for many years in advance given that they are set on the basis of government incentives, and not the oil price. There may be a slow-down in interest in new AD plant projects while the oil price remains so low, but existing biogas plant operators should not be suffering economically. In fact gate fees have been rising, with many more local authorities now involved in disposing of wastes in anaerobic digestion plants than in the previous year. Gate fees charged at Material Recovery Facilities have increased slightly on the previous twelve months, while the number of local authorities surveyed who reported the use of anaerobic digestion (AD) facilities has almost doubled, reports WRAP. …Elsewhere, the report shows that the median gate fee paid for treating food waste at AD facilities remains steady at £40 per tonne, but varies due to a number of factors with a range from £19 to £63. WRAP notes, based upon survey responses that the uptake of AD technology by local authorities has increased over the last twelve months: almost twice the number of local authorities reported using AD facilities in the current survey than in the previous survey. WRAP’s gate fees (Cost of Anaerobic Digestion) report aims to increase transparency and improve efficiency in the waste management market. It is used by local authorities and the waste industry alike to better understand the complex market and focusses on the median and range of prices charged at facilities across the UK. * A negative gate fee is where a MRF is paying revenue to a local authority for the recovered materials sent to the MRF for sorting. Of course, the AD market is very complex and plants vary enormously in the technology used and in their cost structures, so there will be some biogas plant businesses which will have benefited more than others, and a few will have lost out. 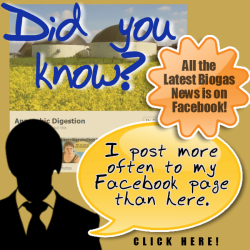 To find out more about “MRF gate fees rise while in the organic sector AD’s influence continues to grow” and anaerobic digestion, click here | Share with your friends! Please recommend a website where I can find the lowest AD plant gate fees in my area? Where can I look? This site is good. Carry on. You are newcomers. We have been doing this in Austria since 2004. The biogas plant is operated as a co-digestion plant and utilizes organic waste material to a high extent for the production of a high-quality biogas. The plant has been commissioned in the year 2004. Cost is very high in UK. In Vietnam most common use biogas is made below the ground. Is cheaper.